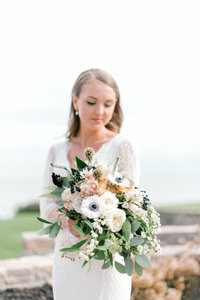 Wait until you see this beautiful wedding at Forty 1 North in Newport, RI! I was so honored to capture these photos for Josh & Jessa. They’ve invested five years to creating beautiful relationships with each others families. You could clearly see how excited everyone was for their wedding day from their ear to ear smiles. 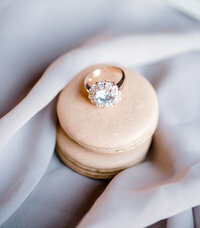 I sat with both of them as they got ready, untraditionally getting ready in the same room, their eagerness grew. Josh popped a cold bottle of champagne and they had their last drink together as fiance’s. After a traditional Jewish ceremony a day commenced of celebration! They choose Forty 1 North. A beautiful white wedding venue and restaurant on the water. We all know how much I love white backdrops. Since both Josh & Jessa are heavily involved in the fitness world, having a juice bar- Juicygreens fit right in. Also fresh pressed juices for mixed drinks were amazing! Who doesn’t love watermelon lemonade (& Tito’s)?! It was really important to both of them that they keep the wedding simple, intimate and that is exactly what they achieved. You two are perfect for each other. I cannot wait to see your family grow, and your love blossom. Bubba is the sweetest Olde English Bulldog ever!